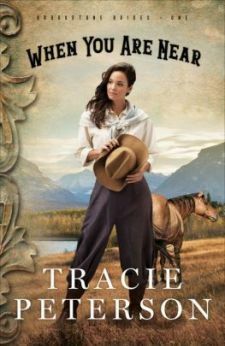 After her father's death, Lizzy Brookstone, the star trick rider of the all-female Brookstone Wild West Extravaganza, loses interest in performing. What she longs for is a life with the Brookstone ranch foreman, Wesley DeShazer, the man who once broke her heart. Meanwhile, Jason Adler, son of the show's new financial partner, comes to help with the show, and Lizzy soon finds him vying for her affection. Ella Fleming is fleeing a forced engagement when she stows away on the Brookstone train. Lizzy finds her and gives her a job in the costume department, but Ella has a dangerous secret that could affect all of their lives, as well as the future of the Brookstone Extravaganza. When Mary Reichert, a former sharpshooter for the show, learns that her brother, August, has been killed at the Fleming farm, she refuses to believe it was an accident. She returns to the show to find the truth, but is she seeking justice or vengeance? As the three women work together to discover how August died, Lizzy strives to hold the show together. Can she keep the Brookstone Extravaganza alive without losing the desire of her heart? Buy the book HERE. 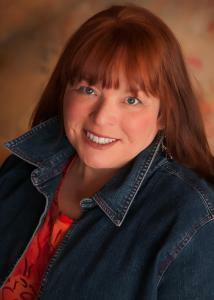 Tracie Peterson is the bestselling, award-winning author of more than 100 novels. Tracie also teaches writing workshops at a variety of conferences on subjects such as inspirational romance and historical research. She and her family live in Montana. Learn more at www.traciepeterson.com.